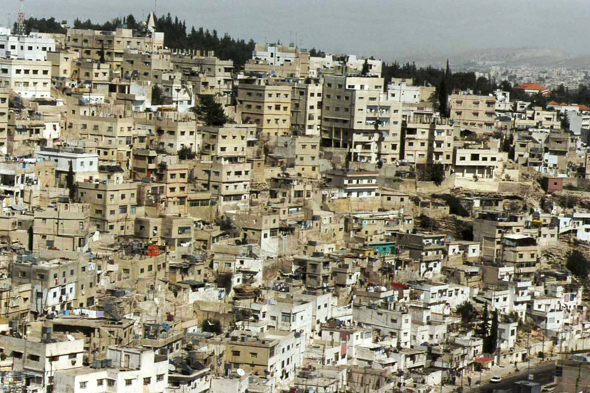 Amman, the white city, is set up on many hills, the slopes are important, and the streets often follow the level lines. No checkerboard plan, all the streets are sinuous. The hills resembling a lot each other, it is not always easy to find one's way there. The names of the streets, without exception, are very seldom in use.